Men from across Hampshire have for generations fought in the ranks of the Royal Hampshire Regiment, or its predecessors the North Hampshire Regiment and South Hampshire Regiment. This book sets out to trace the most dramatic battles fought by the Hampshire men. The regiment dates back to 1702 when Thomas Meredith was asked by Queen Anne to raise a regiment of infantry. Within months Meredith's Regiment was marching off to war against the French in Europe. The Hampshires have been a leading fighting regiment from that day on. Among the great battles featured among the Battle Honours are: Blenheim, Minden, Afghanistan, The Somme, Passchendaele, Ypres, Dunkirk, Cassino, Normandy Landings, Caen and Rhine Crossing. Each major battle will get a chapter to itself, more minor clashes will be dealt with within general campaign chapters. Profusely illustrated with photos and artworks this book provides a thrilling account of the history of the county regiment in stirring language that will make it an essential addition to the bookshelf of anyone interested in the county and its history. 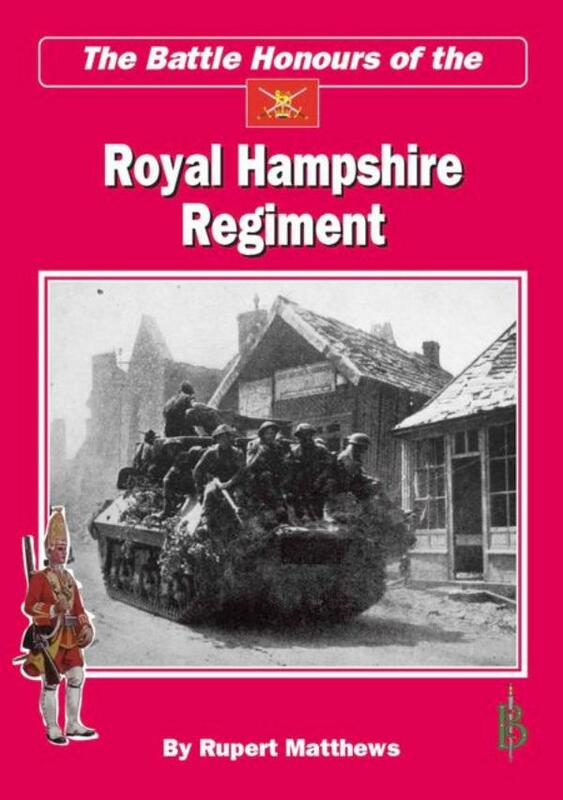 This is a gripping account of the battles that gave the Royal Hampshire Regiment its proud battle honours. The long months of inaction in France from September 1939 to May 1940 became known as the Phoney War. During this time the British army in France grew from an initial 158,000 to 320,000 men, plus tanks, artillery and aircraft. The 2nd Battalion had been brigaded with the Grenadier Guards and Coldstream Guards to form 1 Guards Brigade of the 1st Division. The Reserves had also been called up in this time, so the newly formed 4th Battalion The Hampshire Regiment was also in France, forming part of 28 Brigade of the 4th Division. Lord Gort, who commanded the British in France, realised long before the French or British governments, that the war situation was critical. He had already asked the Royal Navy to draw up plans for an evacuation by sea and had sent troops back from the front line to secure the port of Dunkirk. On 28 May Belgium surrendered, leaving the British left flank wide open. What had been an orderly British retreat now became a desperate race to get to Dunkirk before the panzers. The 4th Battalion had to fight their way straight through the German 256th Division, while the 2nd Battalion fought a desperate rearguard action at Nieuport. Finally the British army, and many French units, had got inside a defended perimeter around Dunkirk that stretched east to include the open beaches as far as La Panne, where Gort established his HQ. The 4th Battalion were at the eastern end of this pocket, while the 2nd Battalion was holding a section in the centre near the hamlet of Warhem. The German air and land attacks were incessant, and British casualties mounted quickly. The Royal Navy was taking men off in a steady stream from Dunkirk port, while a hastily assembled gaggle of small pleasure boats were taking men from the beaches and ferrying them out to larger ships offshore. The 4th Battalion was taken off early in the evacuation, but the 2nd Battalion was ordered to be one of six battalions, one squadron of light tanks and a few pieces of artillery to form the final rearguard. By dawn on 1 June those few men were faced by four entire German divisions pushing in on the shrinking perimeter. The Hampshires held first Bergues, then fell back to Leffrinkourke as the perimeter shrank further. At dawn on 2 June a force of panzers came forward, but were driven off by the artillery, after which the German bombers came to pound the few remaining defenders. That night the Hampshires marched down to Dunkirk port while a few French infantry held the front line. The Hampshires were thus the last British regiment to leave Dunkirk, followed swiftly by the last of the French. The Germans marched in at dawn to occupy an empty town. The Battle Honour Dunkirk had been hard won.